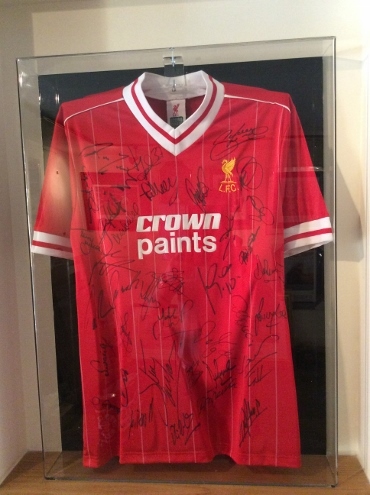 From today St Johnstone Youth Academy are raffling an unbelievable prize of a signed Liverpool FC "Legends" shirt. The shirt has been signed by aprrox. forty LFC players including Redknapp, Souness and Fowler plus it comes in its own special presentation case. Tickets are on sale up to the 12.45pm ko with Celtic on 14.2.15 and are available from Sophie at McD reception and from the Academy players on match day. Tickets are priced at £2, so a great chance to win a bit of history and fantastic prize in one. All money raised goes to support SJYA.